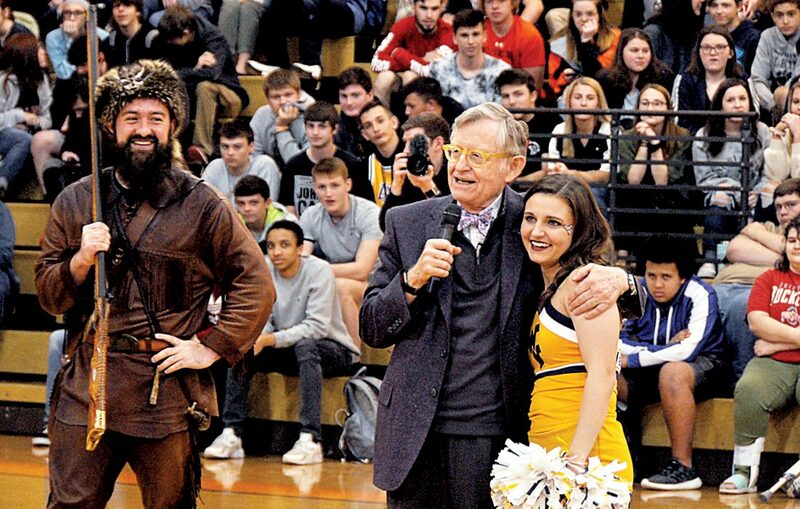 The Inter-Mountain photo by Brad Johnson West Virginia University Mountaineer Trevor Kiess, left, beams as WVU President E. Gordon Gee and WVU cheerleader April Kesling address a student assembly at Elkins High School Wednesday morning. Kiess and Kesling are both Elkins natives and EHS graduates. 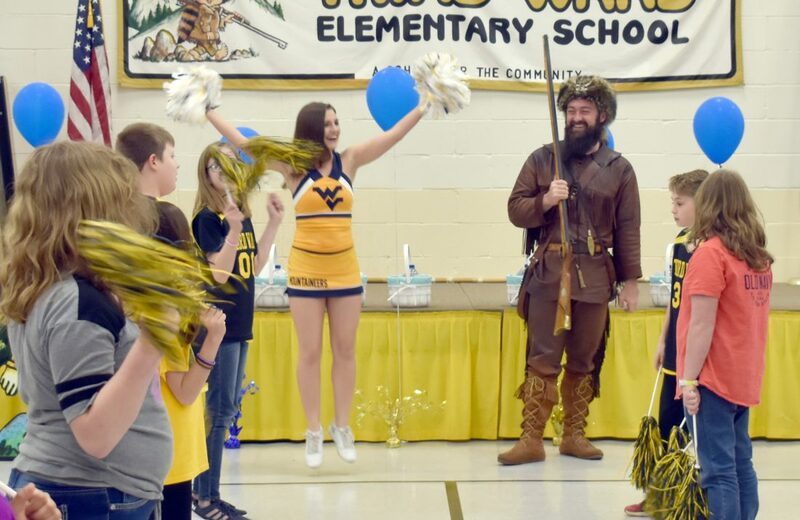 ELKINS — Trevor Kiess, the West Virginia University Mountaineer mascot, celebrated his last full day in the role Wednesday by visiting two Elkins schools with WVU cheerleader April Kesling, a fellow Elkins native, and WVU President E. Gordon Gee. Kiess and Kesling were introduced at Elkins High School Wednesday morning to a full student assembly. 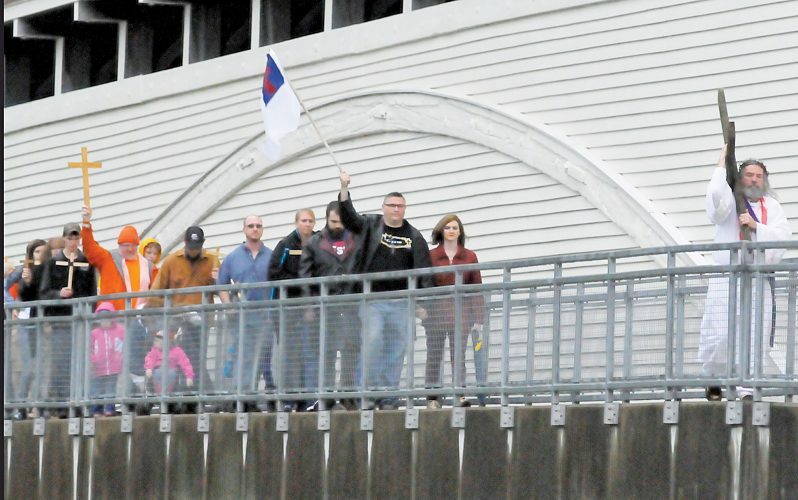 They began the event by leading the crowd in the “Let’s Go, Mountaineers” cheer. 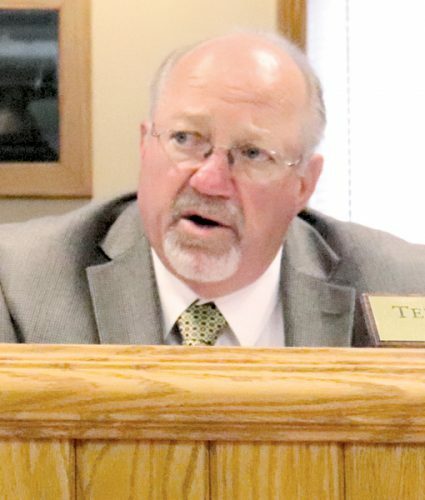 “Today is actually my last full day as the Mountaineer, and I couldn’t think of a better way to spend that then back here, back home at Elkins High School,” Kiess said. This is also Kesling’s last week as a WVU cheerleader, after first joining the squad in 2014. Kesling is currently completing her master’s degree at WVU. 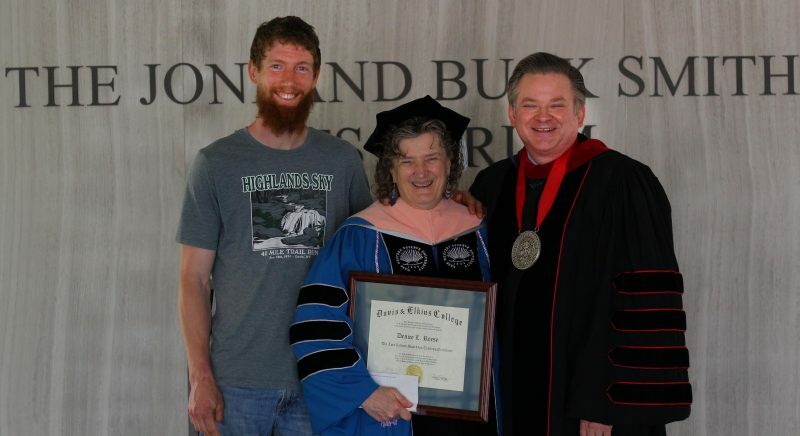 Kiess said his and Kesling’s accomplishments demonstrate that students from Elkins shouldn’t be afraid to dream big. The Inter-Mountain photo by Dan Geohagan West Virginia University cheerleader April Kesling, left, and WVU Mountaineer Trevor Kiess visited Third Ward Elementary School Wednesday afternoon. “I dreamed of becoming the Mountaineer, and April dreamed of becoming a cheerleader, and I can honestly say without a doubt that it was so much sweeter, so much more special, when I finally achieved my dream, to be from a place like this … a small town,” he said. Kiess then introduced Gee, who charmed the crowd with his enthusiasm and witticisms. Gee became the president of WVU for the second time in 2014. He has also served as the president of Ohio State University and the Ivy League’s Brown University. He said he felt WVU was the “Goldilocks” of universities. “It’s just the right size,” he said. Gee then introduced EHS senior Mike Dibacco, and announced that he has been awarded WVU’s prestigious Foundation Scholarship. The announcement brought a thunderous ovation from the students. DiBacco said he is going to double major in English and biology. Gee immediately responded, “Saturdays are for the boys,” prompting huge applause and whoops of approval from the students. “I may be old but I’m not dumb,” Gee said to laughter from the students. Later in the day the WVU contingent visited Third Ward Elementary School, where the Mountaineer’s mother, Sharon Kiess, is a first-grade teacher. Kiess said he has participated in 400 official WVU events in the past year, with the visit to Third Ward being number 400. The trio also visited the new Tip Top Coffee shop in Elkins later in the afternoon, meeting with local officials and sharing some refreshment. Kiess was the 65th Mountaineer mascot to wear the buckskin and carry the musket for WVU. 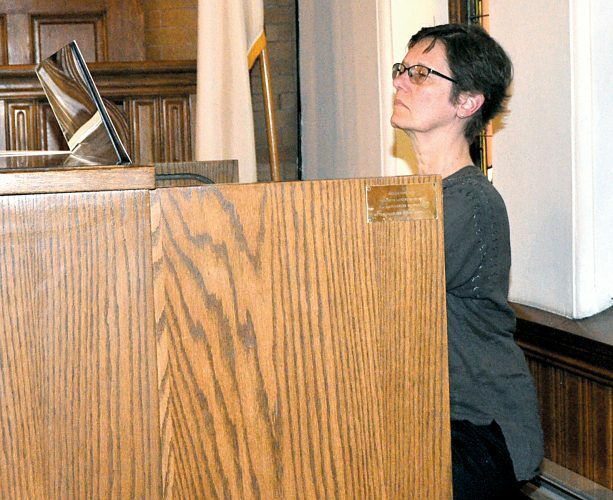 He has returned to Elkins multiple times during the past year to take part in local events.